Congratulations to Ellen Parfitt, last year's nelsonspirit prize winner, who was awarded "runner up" in the national Community Education Awards 'most inspiring career opportunity' award. 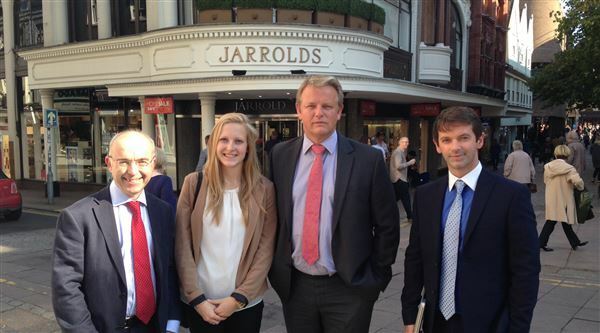 Ellen completed a two-week work experience at Jarrolds in 2014. The nelsonspirit prize is awarded annually to a sixth former who has grown as a leader whilst helping others in the community. The prize consists of a two-week work experience placement in the pupil's field of choice and a book on leadership. Rachel Dennison, of Norwich School, this summer spent two weeks this summer doing work experience for food development company PT Organics, shadowing its CEO and nelsonspirit crew member Amanda Pead. Laura Jackson, of Wymondham College, spent a week working at nelsonspirit, and is to complete another week in due course.